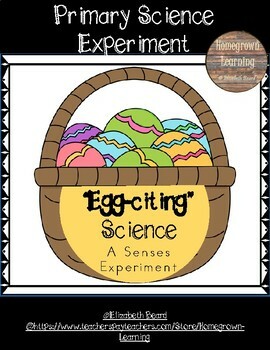 A fun and interactive science experiment for your little learners. Use this resource as a supplement to your senses activities or just to have fun during the Spring Season! 1. Choose if you want to do a 6 egg or 12 egg lesson/center. 2. Place eggs in a basket or egg carton. 3. Instruct as whole group or small group. 4. 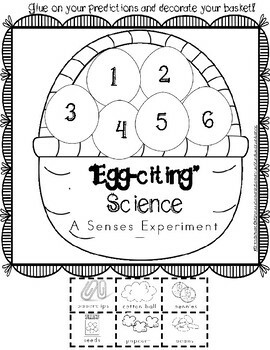 Children shake egg (sense of hearing) to make a prediction as to what items are in the eggs from the choices at the bottom of the printable. 5. 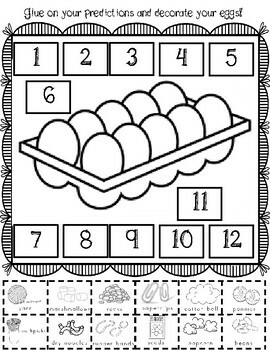 When child makes their prediction for a numbered egg, they will cut and glue their choice onto the correct number on the printable. 6. After all predictions are made, adult or children open the eggs to reveal the answers!